Amsterdam is all about water and bikes. Going around by pedal boat is a great way to explore the city! 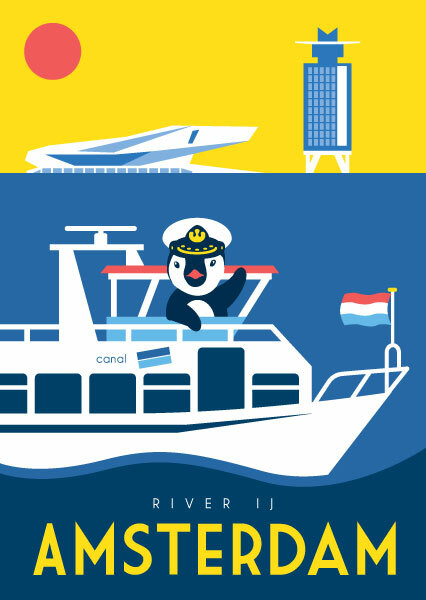 Canal Cruises asked us to make some custom designed postcards to promote boat tours in Amsterdam. A full service design agency from Amsterdam. 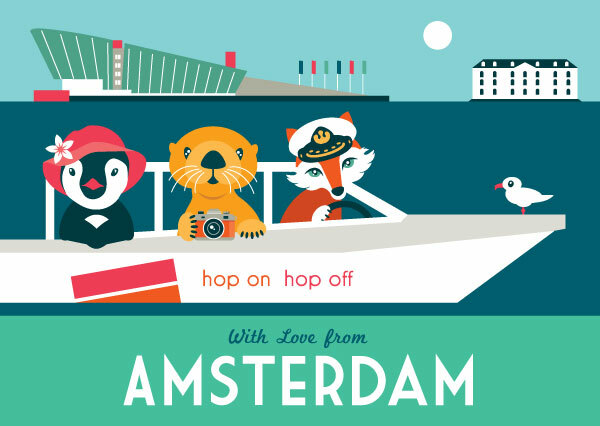 Besides developing our own original products we create designs in assignment for a different range of clients like Amsterdam Hotels, Mu… Show more. Send a message directly to Orange Panda. A full service design agency from Amsterdam. 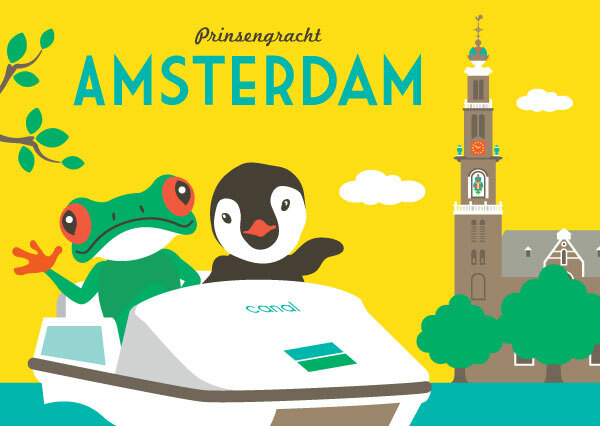 Besides developing our own original products we create designs in assignment for a different range of clients like Amsterdam Hotels, Museums and other attractions in our beautiful capital. The creative collaboration between Mingface and designer Coolpuk started in 2011 when the pair began to work together after they met in the Amsterdam Art scene. This creative power duo has produced an endless list of adorable characters, artwork and products that have entertained individuals and clients for over 6 years now. Orange Panda quickly became an established name through their unique style, humour, illustrations and designs. Everything they do is produced in collaboration. Their portfolio includes a large range of projects from fashion through museums and cultural events.